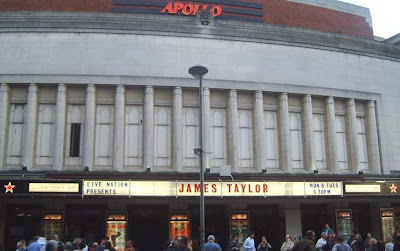 The Hammersmith Apollo’s bid to extend its current licence will be heard at West London Magistrates Court on Wednesday, 28th May. Residents can attend and will be allowed to give evidence if they have previously submitted a written objection. The hearing will begin at 10.00am and is expected to last all day. The Apollo wants to run events up until 2.00am, for several thousand people, on as many as twenty occasions a year - as reported here. Their bid was initially rejected when it went to the Licensing Committee after Cllr. Lisa Nandy (Lab) spoke against it. Residents in the vicinity have long standing concerns about the Apollo’s management of its current licence. Those wanting to attend should turn up at Court No. 1, West London Magistrates Courts, 181 Talgarth Road, London, W6 8DN.